The Poolbeg Generating Station, known locally as The Pigeon House, is a famous industrial landmark of Dublin. The Chimneys are no longer in use and were scheduled for demolition but, due to the strength of opposition from Dubliners, the demolition never took place and they now have a preservation order on them. 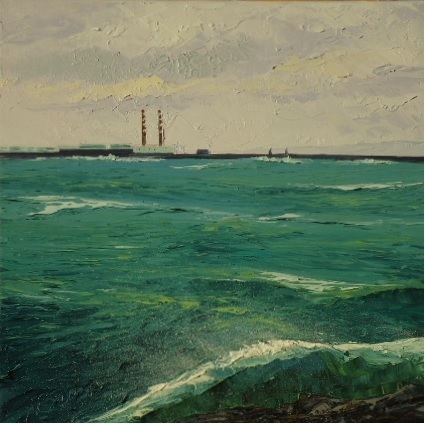 Painted here in fairly choppy weather, the Artist captures the colour and tumult of Dublin Bay in heavy yet flowing impasto. 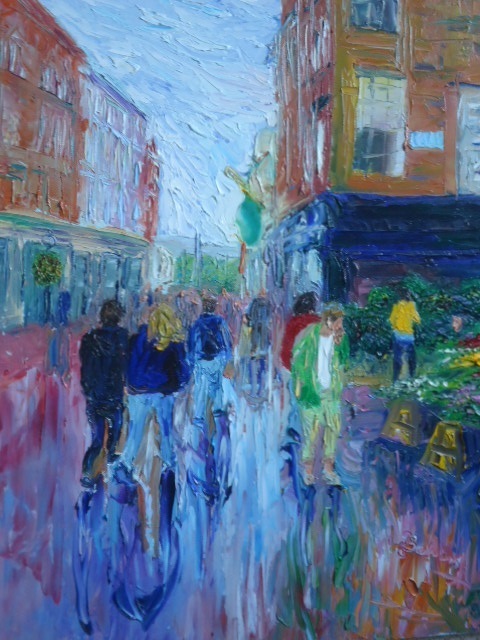 An allusion to Joyce’s famous protagonist, this painting of Dublin’s premier shopping street captures the reflected light following a rain shower. 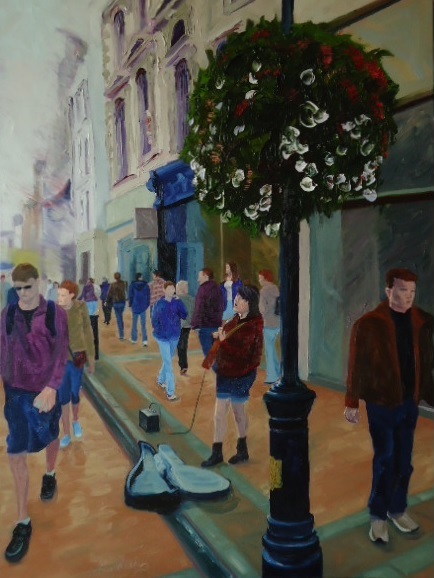 As much a fixture on Dublin’s Grafton Street as the buildings themselves, Behan puts a Busker centre stage in this large painting (76 x 102 cm).